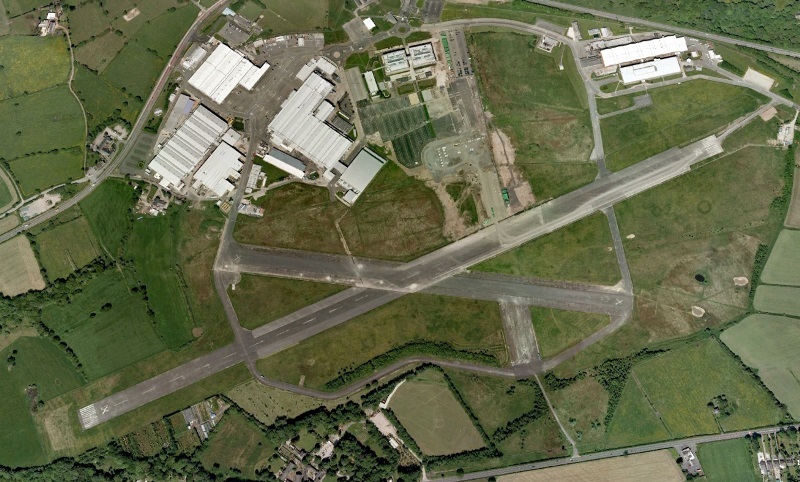 Samlesbury airfield (also known as Samlesbury Aerodrome, and BAe Samlesbury, ICAO: EGNG) was an airfield 300 kilometer northwest of London. 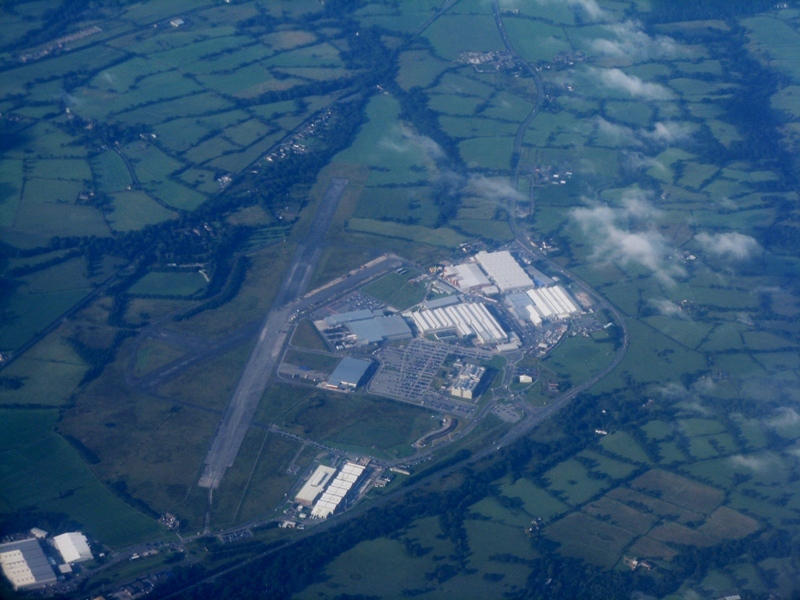 Although the airfield dates back to a 1922 proposal for a municipal airfield between Blackburn and Preston, construction did not commence until April 1939. Construction was greatly acellerated when at the outbreak of World War II the English Air Ministry ordered English Electric Company (EE) to proceed with the construction of its flight shed. The first Handley Page Hampden built at the facility made its first flight on 22 February 1940. A second factory was built that same year and the runway was extended to allow construction of Handley Page Halifaxes to commence. The airfield was also home to Hawker Hurricanes and Airspeed Oxfords of No. 9 Group RAF. By 1945 the airfield hosted 5 main hangars and three runways, allowing over 3,000 bombers to have been built and flown from the airfield. After the end of the war, the airfield was the site where De Havilland Vampires, the English Electric Canberra and the English Electric Lightning were produced. Additionally, the plant built parts of the Concorde supersonic transport and after the mergers into BAC and British Aerospace it worked with the factories in Warton and Preston on the construction of Sepecat Jaguar and Panavia Tornado fighter aircraft. 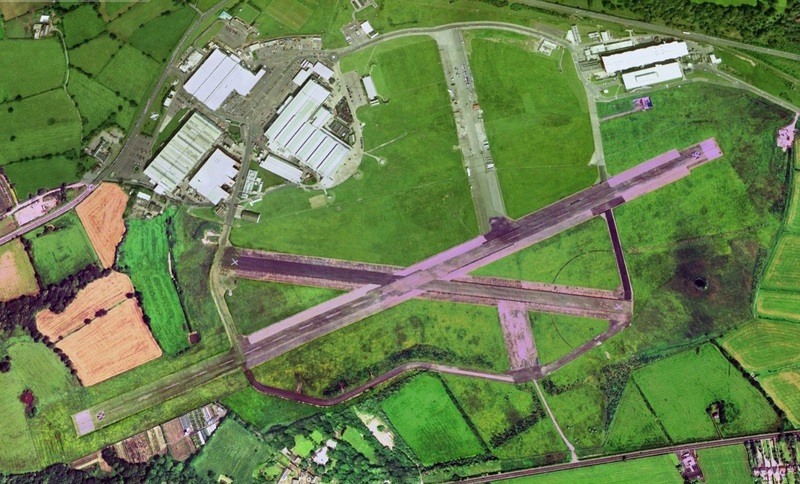 Until 2009, 635 Volunteer Glider Squadron continued to operate from the airfield inspite of the runway being classed as inactive, after which they relocated to RAF Topcliffe. 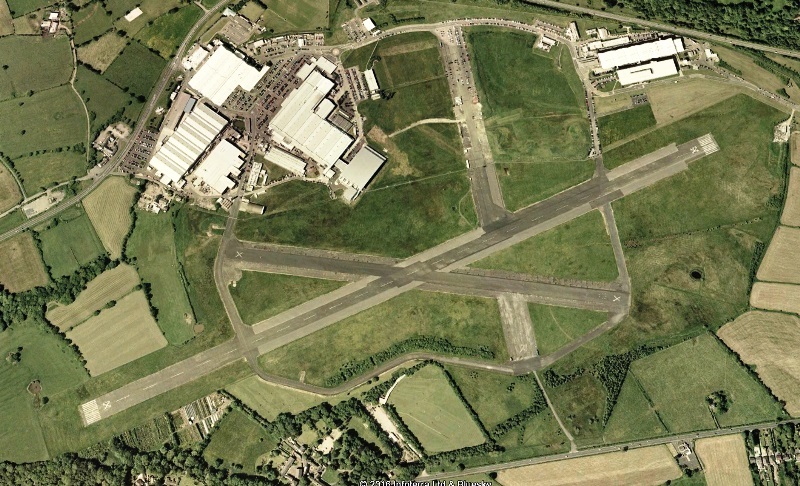 The end of aviation did not mean the end of the aviation history at Samlesbury though. 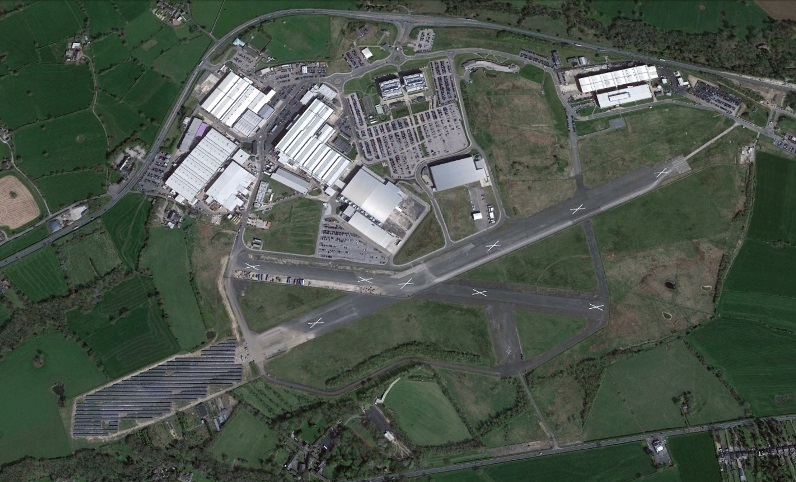 BAE Systems (successor to British Aerospace or BAe) sold the airfield to its pension fund, who are developing a high-tech aviation park at the former airfield. 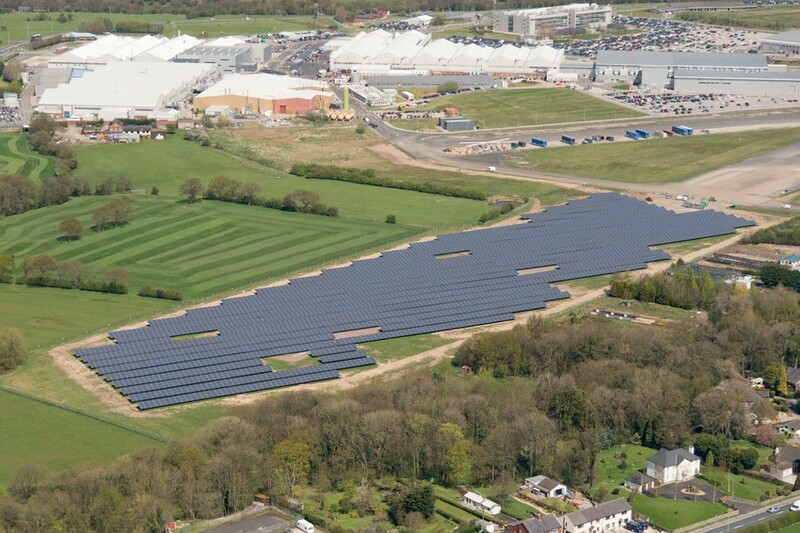 The western end of the main runway was built over with a solar plant around 2013. 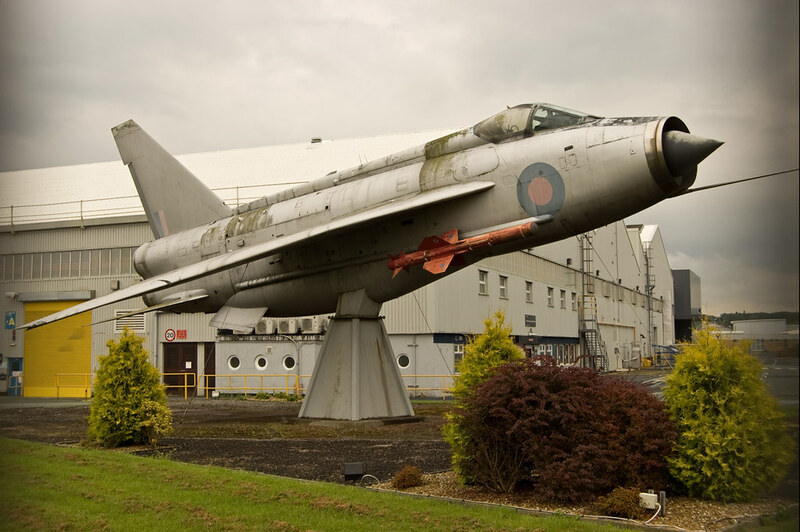 Since 1986, ex-Royal Saudi Air Force English Electric/BAC Lightning F.53 serialled 53-672 stood on display in generic RAF colours as 'ZF580' at the gate of BAe Systems plant at Samlesbury Aerodrome. It was photographed by Richard Amor Allan in 2011 and removed in the winter of 2014 under much protest of the local community. In 2015, a solar power farm had appeared on the west side of the former airfield. Additionally, large white X's had been applied all over the two runways (Google Earth).